Please keep in mind that at New Song Wellness we do not diagnose, treat, or cure disease. These statements have not been reviewed by the FDA. We are here to help you support your body to be its strongest self. We never work in a way that would contradict your doctor. If you need medical advice, please consult your doctor. Your body has electrical circuitry that should be running optimally. We measure that circuitry simply and ﻿non-invasively. The amount of and speed with which the energy flows through that point lets you know what areas of your body need more TLC fast and first. Using sophisticated computer software, you have access to a wealth of information about your body and the options available to you to get back on track. Consultation comes with the BioEnergetic Assessment. Once the information is gathered in the Assessment, you will receive suggestions accordingly. First consultation fee is currently $180 and takes 1.5 hours. Revisits are $110 and generally take 45 min-1 hour. We choose homeopathic and herbal remedies based upon what your body craves to balance your energy. These are chosen with careful consideration of your current plan with your healthcare provider / medical doctor. Our homeopathics and herbals are additional to the consultation fee. If you need home remedies for non-emergency helps at home, I offer a variety of "kits" we can build to suit your needs. This is best to do ahead of time. . . always be prepared. POWERFUL EMOTION MANAGEMENT! We quickly scan for the negative emotions that need to be processed, deal with them without talk, then find what positive emotions need to be amplified. You go home with tools to continue progress until the next session. Please note: I am the developer of this program and offer courses to teach Qest4/Asyra practitioners worldwide how to use this system. If you are a technician, please see the tab built for you! Homeoprophylaxis, a method of educating the immune system toward disease symptoms using homeopathy, deserves its own page. Please click here to access that information. This is not a program to be entered into lightly; you must be fully educated to participate. We can help. In addition to HP for the family, Abby is also Certified in HP for Travel purposes. Bemer uses a specialized PEMF signal in a mat and other applications. 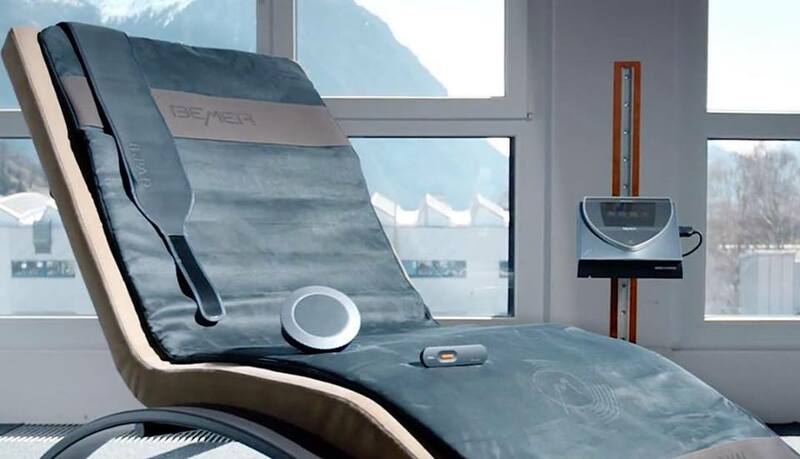 Regular use of Bemer enhances general bloodflow, oxygen and nutrient supply, cell waste disposal, strength & endurance, concentration & mental acuity, stress reduction & relaxation, and sleep management. Single sessions are $10; a set of 10 for $100 gets you 2 free (12 total). ​*8 minutes 2x/day is optimal, but some see personal benefit in a few uses per week. You may also purchase one for home use. For those that wish to have an assessment and consultation, we offer remote assistance. Using a biological sample, we complete the consultation via phone at a scheduled time and have remedies shipped to you. For more information, please call or email. Standard consult rates apply plus remedies and shipping. Using biological samples, we are able to assist the balance of your pet also. Remedies are either picked up by you or shipped for you to administer to your horse, dog, cat, or other livestock. $80 for household pets and smaller livestock. $150 for large livestock, plus remedies and shipping. Remedy total cost for animals generally runs under $40. Options will be discussed concerning ways to administer. Had a wonderful session with Abby....Loved her machine and the supplements I am taking are working!!! I have more energy...can hardly wait for our next appointment! BTW Abby is delightful, caring and is determined to make sure she supplies you with only what you need now and as little dent to the pocket book as possible. One of the greatest experiences I've ever had. My whole body hurt and I didn't know why. Not even two days later I felt amazing!!!!! Thank you so much!!!! Abby knows how to help your body heal itself with natural remedies and homeopathic treatments, and best of all food modifications (including the no cookies anymore!). Now I am on the right path armed with knowledge that is helping me fight against and conquer this crappy crippling disease!